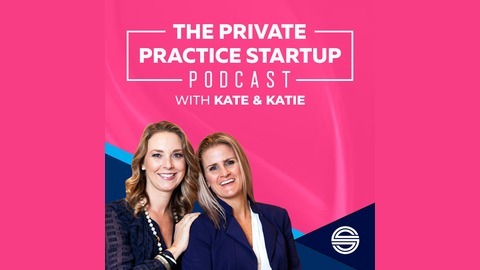 The Private Practice Startup is owned by Kate Campbell, PhD, LMFT & Katie Lemieux, LMFT, two therapists who built their 6-figure private practices from the ground up. We're passionate about inspiring mental health professionals on their private practice journey from startup to mastery! 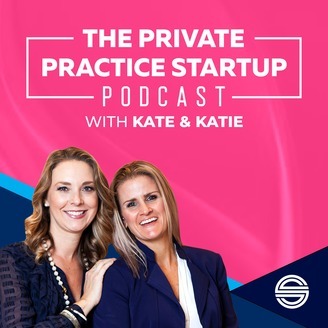 On our podcast, we interview entrepreneurs, experts in the mental health and business arenas and successful private practitioners to provide a wealth of information for our listeners! We LOVE interviewing all of our guests and most importantly we have fun doing it. We hand pick everyone we interview as we know each and every person will bring value to you and your business assisting you in reaching your goals and dreams! We also offer webinars, online courses, in person trainings, attorney approved private practice paperwork, and are CEU providers in the state of Florida. For more info, visit our website www.ThePrivatePracticeStartup.com. Rebecca Stone, or Becky, as most people call her, provides counseling services to clients, as well as consulting for mental health professionals. Becky presented about Emotional Support Animals at the 9th annual American College Counseling Association national conference, helped create a university's ESA policy, and specializes in ESAs in her private practice. With her consulting, she strives to help mental health professionals go from confused and stressed out by Emotional Support Animal requests to competent and confident with ESA assessments while preparing their practices to welcome ESA requests along the way! Episode 129: Overcome Your Scarcity Mindset to Uplevel Your Income and Your Life!